The court that most people have contact with is the district court. It is sometimes known as the "people’s court." The 72nd District Court handles traffic violations, criminal, general/civil, small claims and landlord/tenant cases in St. Clair County, Michigan. The 72nd District Court is dedicated to protecting rights, dispensing equal justice in all matters, and providing the highest quality of professional services in a prompt and polite manner, recognizing and respecting the dignity of each person served by the courts. CLICK HERE to see cites and townships in this jurisdiction. 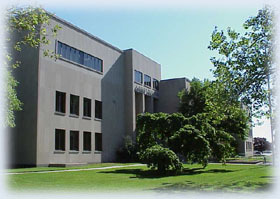 The Port Huron District Court is located on the Second Floor of the Courthouse in Suite 2900. The Court accepts payments online using Visa, MasterCard or Discover. For past due, suspended FAC/FCJ citations or for Probation Department payments: you must call the Court to obtain the exact amount needed to clear your past due, suspended or probation matters.